Originally published in 1901. An comprehensive and informative look at the subject. 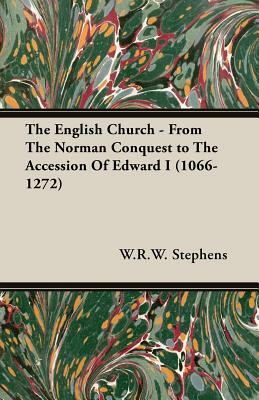 Contents include: The Church and the Norman Conqueror, 1066-1070 - The Early Years of Lanfranc - The Primacy of Lanfranc - William Rufus and Flambard - Anselm and William Rufus - Anselm and Henry I - Rival Powers: The Church, The King, The Pope - Evil Times - Henry II and Thomas Becket - The Murder and After - Weak Kings and Strong Prelates - Resistance To Pope And King - The Church And The Patriots - The Monastic Orders - Bishops, Clergy, Friars - Popular Religion, Learning And Art - Appendix: Some Principal Events - Table showing changes made in the occupants of episcopal sees in the reign of William the Conqueror and part of the reign of William Rufus - List of contemporary sovereigns and prelates, with dates of their accession - Notes on the taxation of the clergy.